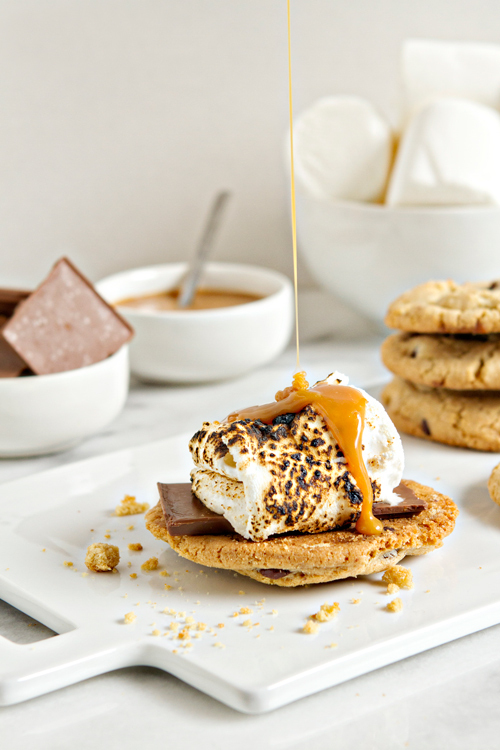 We’ve got lots of s’mores stuff to talk about today so lets just dive right in! 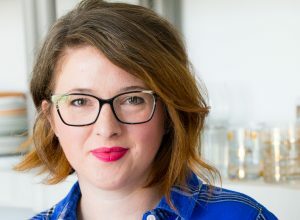 During the entire month of June, I’ve teamed up Jamie from My Baking Addiction, Kristan from Confessions of a Cookbook Queen, Brandy from Nutmeg Nanny and Shelly from Cookies and Cups in partnership with Campfire Marshmallows to come up with the most wonderful s’mores recipes imaginable: all featuring the heavenly Giant Roaster marshmallow. If you haven’t seen these marshmallows you are in for a serious treat. They are literally 4x the size of a standard marshmallow and make the most decadent s’mores I’ve ever tasted. 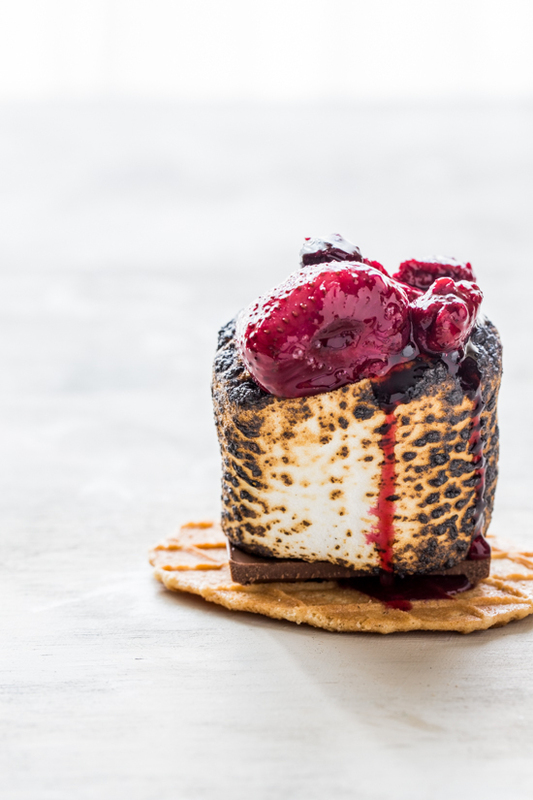 Tonight, we’re going to be over on Twitter chatting about all things S’mores while giving away some great prizes (think moola and marshmallows). Here’s some info about the chat tonight, but basically follow along and use the #smoreschat hashtag to participate in the conversation and be entered for a chance to win! In addition to inviting you to the Twitter Party tonight, I wanted to share a fun new video that Jamie and I put together on how to throw an awesome party featuring a Summer S’mores Bar. You may have caught my teaser video over on Instagram, but here is the full video, complete with my Roasted Berry S’mores and Jamie’s Salted Caramel Chocolate Chip Cookie S’mores. It’s an easy and fun way to really get your friends involved in the party. And who wouldn’t love to build their own s’more? We did a camping themed version of this at the Buddy’s 6th Birthday party last year and everyone went nuts for it! 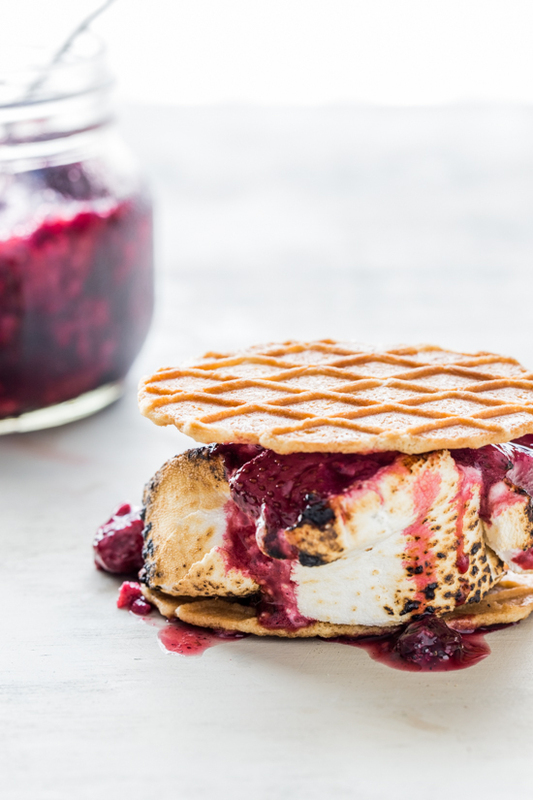 Anyway, I clearly have s’mores on the brain so to finish things up, here are the other amazing Giant Roasters recipes that were created for this month-o-s’mores. 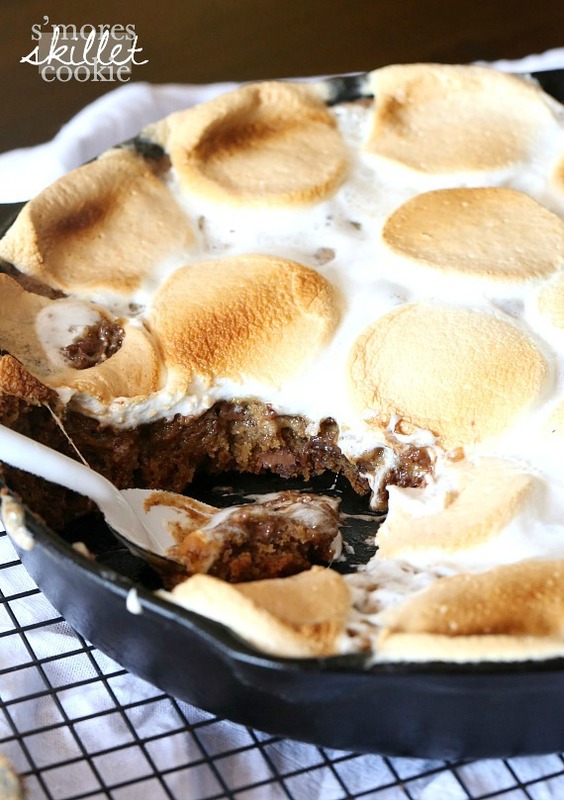 Shelly from Cookies and Cups made this decadent Skillet S’mores Cookie. 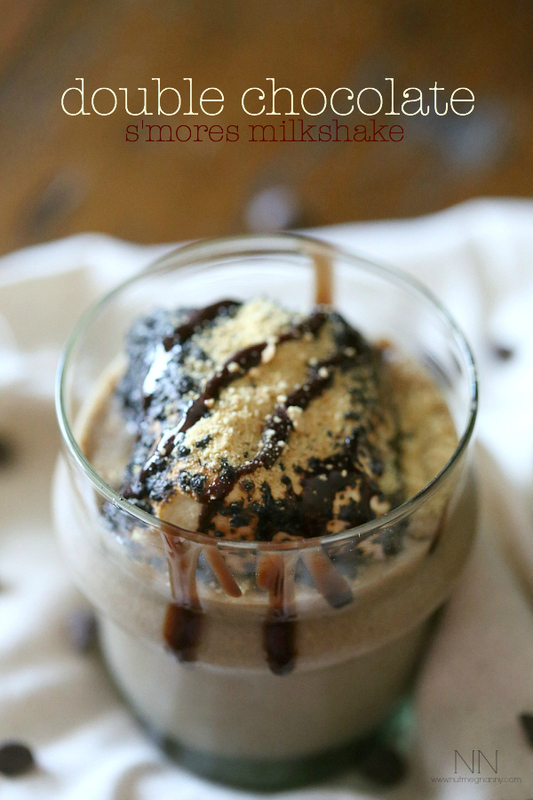 Brandy from Nutmeg Nanny made this incredible Double Chocolate S’mores Milkshake that I have been dreaming about for the last 2 weeks. 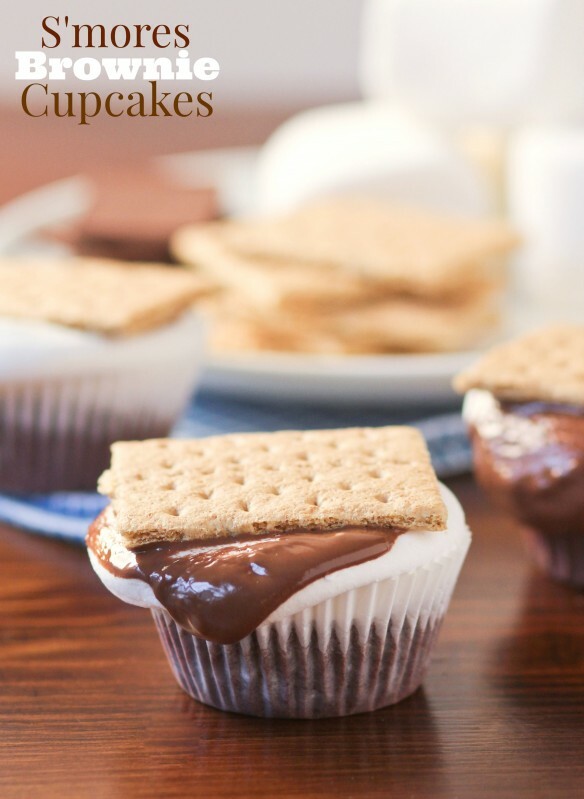 Kristan proved that s’mores can be even perhaps more fabulous inside the house with her S’mores Brownie Cupcakes. And in case you were searching already (I knew you were) here is Jamie’s recipe for the Salted Caramel S’mores that were featured in the video. Holy cow, these s’mores were out of this world! I may have eaten several while we were filming. I’m not even a little sorry about it. And last but not least, here are my sweet and fruity Roasted Berry S’mores. There are no words for how good these are. 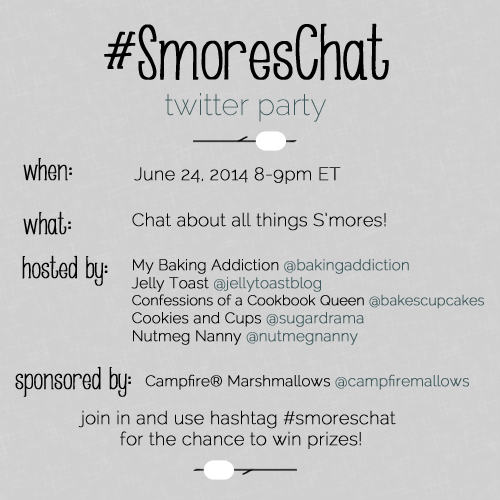 So, join us tonight for our #smoreschat and share some of your very favorite s’mores recipes! Disclosure: I’ve partnered with Campfire® Marshmallows and this post is part of that partnership. I’m thrilled to have the opportunity to parter with some of my favorite brands in order to bring new and exciting content to Jelly Toast. Thank you for reading and supporting the brands that I partner with. All opinions expressed are, as always, 100% my own. Oh my, both of those s’mores look insane. I’d have to have one of each! Super cute video too!